Utilizing an exhibition stand at a trade show is a great way to maximize exposure for your company or brand and most business owners agree, they will continue to do so for a long time to come. A well designed exhibition stand can make your business stand out from the crowd and make a powerful impression on trade show attendees. However, there’s always the issue of dealing with competition because of the vast number of exhibitors all sharing the same space. So how do you get noticed? It is absolutely vital for your exhibition stand to be prominent and to make a strong first impression. It is one of the most important aspects of building a successful stand, so it’s critical you hire a reputable exhibition stand designer to get the results you need. You may offer a great product or service, but if your booth has no visual impact or incentive to approach your sales team, you could end up losing ground to the competition. Depending on the trade show you plan on attending, you will have size and height restrictions for your booth. Be sure to confirm the actual dimensions you have to work with by contacting the event organisers so you know the full 3-dimensional scale your stand designers can work with. You will want to be sure that your display area naturally flows and has no physical barriers or obstructions to entering or using your exhibition booth. One area to strongly take advantage of is the use of the maximum height allowed for your booth. You can massively increase visibility by using high signage, incorporating a tower with a rotating sign, and other marketing with that extra, all important space. In a crowded room with lots of stands all vying for attention, the one that stands out is the one that gets visited the most! Nowadays people have much shorter attention spans, so using images and graphics is a simple and effective way to communicate your core marketing messages and the benefits of your products to a larger audience. You will want to be selective with where you place images however. You need to ensure that they are visible from a distance and will not be obstructed in any way. Also, include text but avoid using long sentences. Use punchy marketing slogans that people will remember after the event and keep your booth neat and relatively uncluttered with too much long-winded text. Technology continues to be a driving force in today’s society and using it in your booth design is also a great idea. You can use technology to showcase product demonstrations and other innovations you want to showcase. Some of the more impressive exhibition booths use virtual reality as well as touchscreens and interactive walls. You can provide your visitors with a fresh and exciting experience with multimedia content, including gameplay, puzzle solving, downloading free cellphone apps and filling out surveys to win a desirable prize. You will only be limited in what you can do with technology by your imagination. With a trade show, you really need to stand out and capture the interest of attendees and have them engage with your stand and sales team. You will want to create a buzz that completely captures visitors and makes them remember you and your brand. You can use a variety of methods such as specialised lighting, audio visual, colours, and even scents as well as textures. 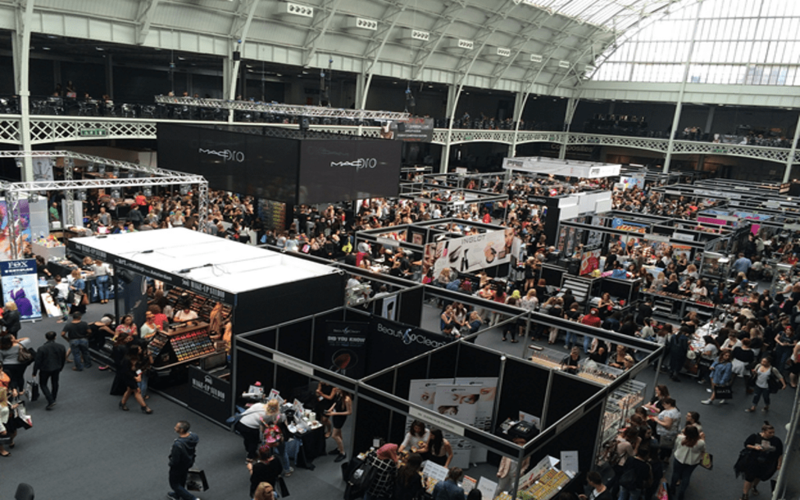 When you stimulate the senses of your visitors, you will gain far more attention and will have a much larger effect on the minds of trade show attendees. With any marketing campaign, you will firstly need to target your audience and think of them when you are building your exhibition stand. Your exhibition stand will have to speak to your customers and meet their desires and needs. You may have the best looking exhibition booth, but if it doesn’t engage or target your desired audience you will have much less marketing effect if you don’t reach your target market. These suggestions are just a handful of great ideas to take into consideration when speaking with any reputable exhibition stand builder for any upcoming trade show. These 5 ideas are known to work and are an integral method for getting the most advertising effect possible when incorporating exhibition booth marketing. Follow the 5 strategies outlined above to get the greatest return on investment with your exhibition booth marketing campaign.